Ranger Rom wakes up to another beautiful day in the African savanna, only to be summoned by Lisha the leopard to help a friend in grave danger. 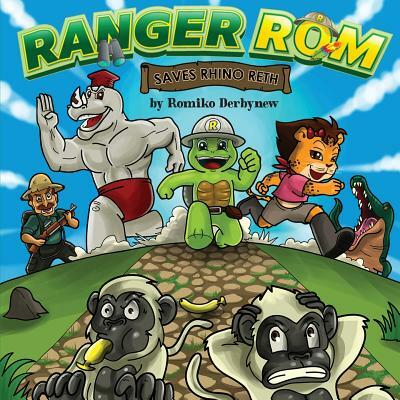 Ranger Rom introduces wildlife and conservation in a fun and engaging adventure story. The exquisite illustrations of Janvic Victorio are emphasised in his artwork, bringing the African savanna and animals to life. You are welcome to visit rangerrom.com for games, books and other activities. About the author - Romiko Derbynew has spent allot of time in the African wilderness and is a certified field guide and certified level 2 tracker. He is passionate about wildlife and conservation. Romiko lives in Sydney and enjoys Paragliding, Scuba Diving, Surfing and Storytelling.